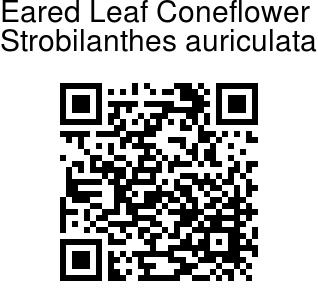 Eared Leaf Coneflower is a species identified by its oblong, stalkless and usually eared leaves, from which it derives its name auriculata. However it is very variable, with varying shapes of bracts and leaves. 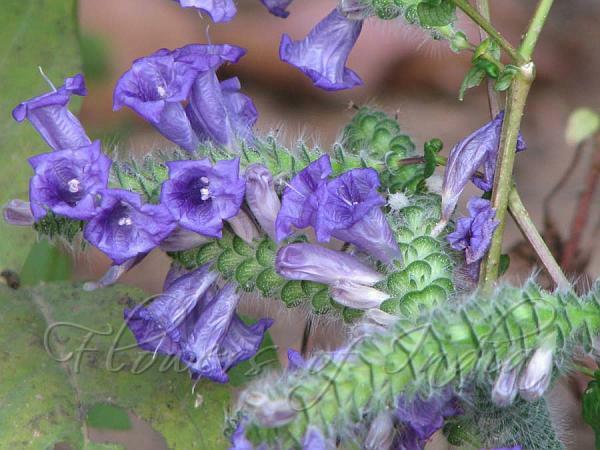 Violet-blue bell-shaped flowers are borne on upright spikes in leaf axils. These spikes are covered with overlapping bracts which have long silky hairs on them. The bracts are basically obovate in shape, but there is a dramatic variation in bract size and whether it is notched at the tip or not. Eared Leaf Coneflower is distributed along the foothills of the Himalayas from Punjab to Darjeeling but is apparently absent further east. It occurs further south in the Chota Nagpur area of Bihar (it is the only Himalayan species to grow south of the Ganges), in Meghalaya, Mizoram, Nagaland and Manipur and other parts of SE Asia. Identification credit: J.R.I. Wood & N. S. Dungriyal Photographed in Madhya Pradesh & Manipur.